Grits are not just for breakfast anymore! 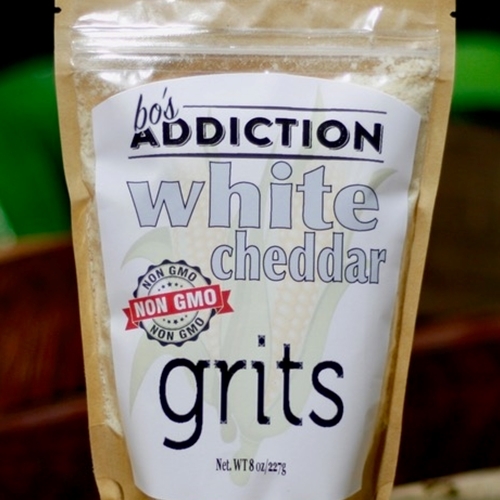 Make grits a part of any meal with a delicious, ready-made White Cheddar Grits mix from Addiction Sauces. Addiction Sauces makes perfectly blended grits for you with a careful balance of smooth cheeses, spices and butter in each package of instant 8 oz grits for sale. Just add water and you have a creamy side to accompany you dinner, a delicious start to an authentic Louisiana casserole, a mouth-water breakfast recipe and much more. You can bring this time-honored recipe to your table at any time in minutes. Test out an 8 oz package or order a case for your kitchen or restaurant.